Well, the Academy Award nominations have finally been announced, and while I am pleased that my pre-nomination picks for winners in 10 categories are all at least in the running (yay, me! ), it has become clear that this is a three-horse race. The Descendants, The Artist, and Hugo comprise the triumvirate of possible films that could create a landslide at the ceremony. While The Artist and The Descendants have been considered favourites since the fall, in securing more nominations than any other movie, Hugo is the slight surprise here. I say slight but, upon reflection, it really shouldn’t be a surprise at all. 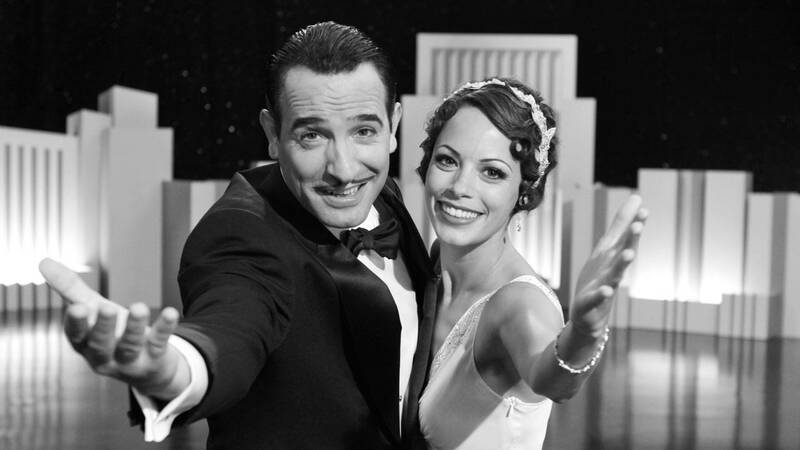 In proposing The Artist, a silent-era Hollywood romance, as the most likely winner I claimed Academy voters are a sentimental bunch. By those standards, Hugo has The Artist beat in spades: the film, about a young boy’s adventures maintaining a grand clock within a Paris train station, features the father of cinema, George Méliès, played by Ben Kingsley. Méliès, apart from advancing cinema in narrative form, was quite possibly its first special effects artist: his 1902 film A Trip to the Moon is largely considered the first real attempt at science fiction on the big screen. For Academy voters, Hugo may have The Artist beat in the nostalgia category hands-down. Prognostications abound regarding this theory and that one. For me, the key to determining the Best Picture winner is the editing, and not simply the directing, category. With the expansion of a maximum of ten nominations, and only five for best director, it is widely believed that the five directing nods correspond to the real Best Picture nominees. Historically, the film that takes home the Oscar for Best Picture has at least been nominated in the editing category, and most often wins the prize. Of this year’s crop of Best Picture nominees, only The Artist, The Descendants, and you guessed it, Hugo, are nominated in both directing and editing categories. Canada will be represented on Oscar night as well, as Philippe Falardeau’s Monsieur Lazhar, charming dramedy about a replacement Algerian school teacher, has been awarded a slot in the Best Foreign Film category. It’s the Hugo of the Genies – at Canada’s Oscar equivalent, Monsieur Lazhar has collected a whopping nine nominations. From the glory and glamour of American cinema we turn our attention to the international scene, where the film community has lost yet another giant, this time, in untimely fashion. As if Greece needed more bad news, the country’s most celebrated filmmaker Theo Angelopoulos has passed away at the age of 76. The use of long takes, combined with images of an austere countryside that we in the West are not used to imagining when thinking of Greece, marked Angelopoulos’s films, which were often political in nature. He is also one of the few filmmakers to win major awards at the Cannes, Berlin and Venice film festivals throughout his illustrious career. 1975’s The Traveling Players and 1988’s Landscape in the Mist are considered his masterpieces. Both films are plodding, moving exposés: the former is a veiled account of Greece under Communism told through the travels and travails, of a theatre company, the latter is a quest by children to find their father in the ravaged countryside. Angelopoulos was hit by a motorcycle when crossing the street in Piraeus, a port in Athens, where he was working on his latest movie, The Other Sea. This entry was posted in Movies and TV and tagged Academy Awards, George Méliès, The Descendants, Theo Angelopoulos. Bookmark the permalink.